Escape the ordinary and experience a more natural way of life. Check out the following Top 10 Things to Do in the Municipality of Shelburne. Shelburne Founders' Days is an annual celebration of the rich history, heritage, culture and people who have made Shelburne, Nova Scotia, one of the most interesting places in Canada. For several days each summer, the historic waterfront comes alive with fun, food, history, music and games. This annual celebration is a co-operative effort of local government, volunteers and businesses. Come and enjoy the Sandy Point Lighthouse! You will find everything you may desire on a warm summer day; Sandy Beach (at low tide), room for kids to play and a full service canteen with ice cream, chips, refreshments, hot dogs, hamburgers and other snacks! This facility also services as a special events location and caters to weddings, family get-togethers, meetings, special occasions, and group suppers. Trails are perfect to enjoy a leisurely stroll, to observe and / or photograph many types of wild flowers, trees, birds, wildlife, and natural landscapes, or to add to your personal work-out routine. These level terrain trails are active transportation connections in the communities of Sable River, Jordan Falls, and between the Islands Provincial Park and the Town of Shelburne for locals and visitors alike. Some of the most beautiful, natural coastline in Nova Scotia is found within the Municipality of Shelburne. From the warm estuarine waters of Louis Head to the wild, open coastline of Black Point, an array of dynamic coastal ecosystems provide habitat for plants, birds and other wildlife. Residents and visitors are drawn to our sandy beaches for a wide range of activities including walking, kayaking, photography, bird watching and simply spending time in nature. River Hills Golf & Country Club takes you along the beautiful Clyde River, with many spectacular views. This 18-hole course is beautifully landscaped with ponds and lined with magnificent rock walls. This is truly a course that can be enjoyed by golfers of all ages. The Black Loyalist Heritage Centre museum tells the story of the world’s largest free African population outside of Africa, in the late 18th century in Nova Scotia. One Tourism Interpretive Site is located in each of our seven districts, including a place to relax and learn something about the local area. These locations are signed and each one has a beautiful view and story to tell. 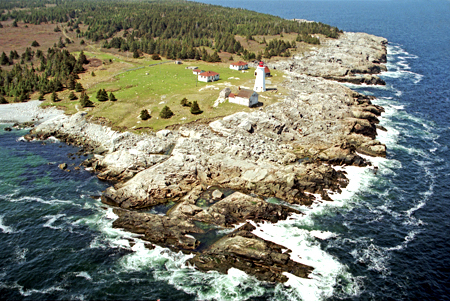 Located in the mouth of the Shelburne Harbour, McNutt's Island is the prefect place to step away while exploring. Enjoy a 6 km hike across the island as you vist old bunkers and the Cape Roseway Lighthouse. We welcome you to kayak on our paddle perfect waters. Experience scenic coastlines, explore our beautiful harbours and bays and views that are worth the paddle. Kayak Launch Sites include: Black Point Road, Carleton Village Beach, McNutts Island, The Islands Provincial Park, Dock Street, Sandy Point Lighthouse, Jones Harbour,and North Water Street (Lockeport).